We provide all aspects of low speed Traffic Management suitable for Urban/Rural areas which also includes Temporary Traffic Light hire. Our knowledge and experience ensures that all street works Traffic Management projects are deployed with minimal disruption and congestion. Offering a wide range of Pedestrian Management Control Services on a Nationwide basis, from Pedestrian Crossing Systems, Chapter 8 Pedestrian Barrier hire and Marshalls. 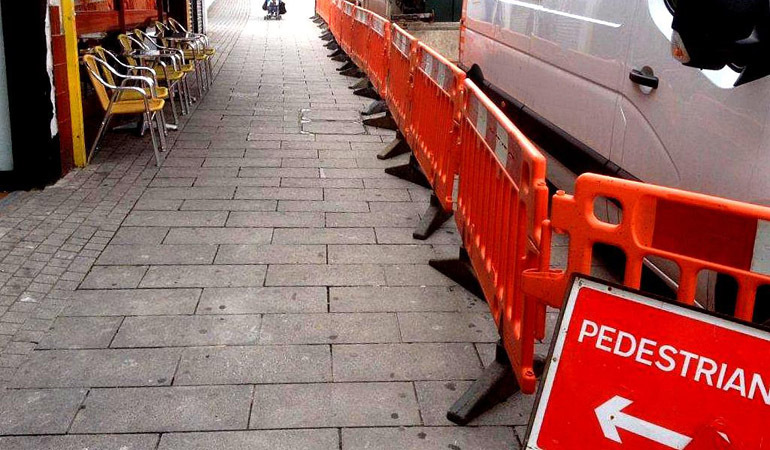 Effective demaracated Exclusion Zones ensure safety of both the public and your own people alike. 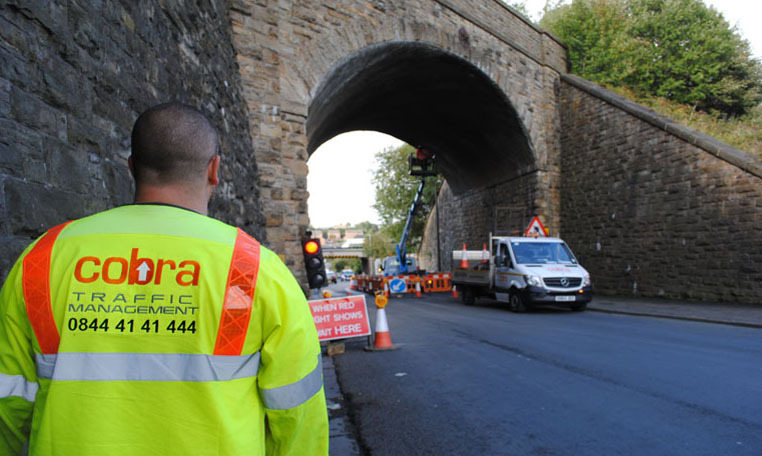 Here at Cobra we have a friendly and experienced team who can put you at ease when it comes to dealing with the complexities of ensuring the legal compliance of your works. We can liaise directly with your Local Council or Highways Agency helping mitigate any unforeseen issues or potential financial risks. Event Traffic Management is one of the most important elements when dealing with a large volume of visitors. 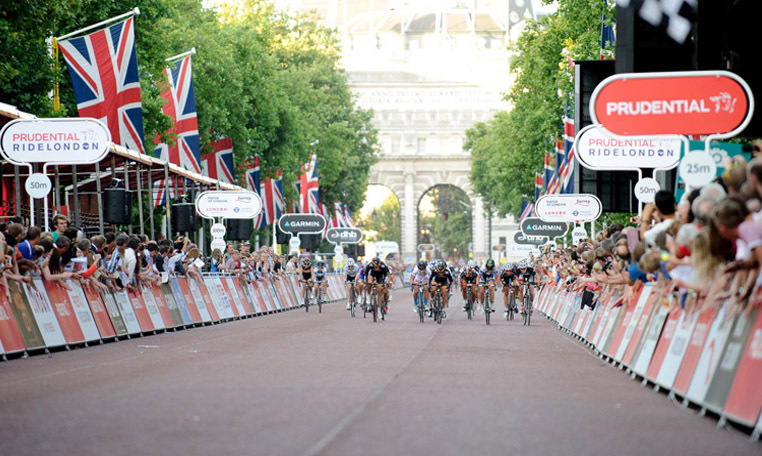 We offer comprehensive solutions for all types of National Sports events and music festival management which also include crowd control and advance warning systems. 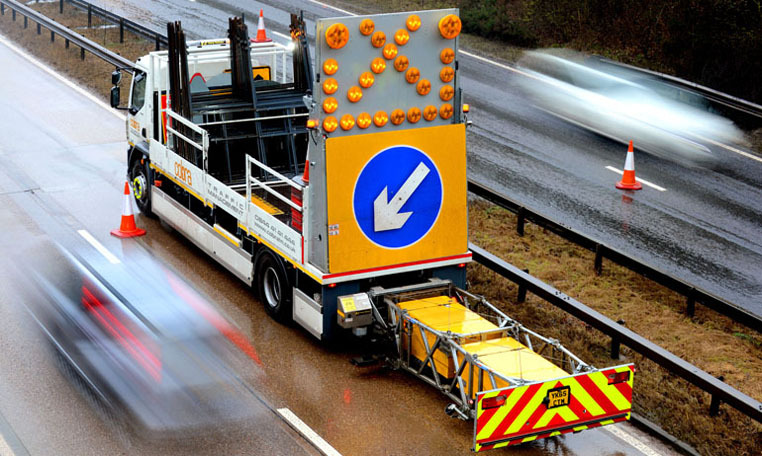 Cobra offer High Speed Traffic Management, with the use of Impact Protection Vehicle’s (or crash cushions as they are commonly known in the UK), our team provide advice and end to end project management for all road/lane closures, contraflows and associated temporary road signage. 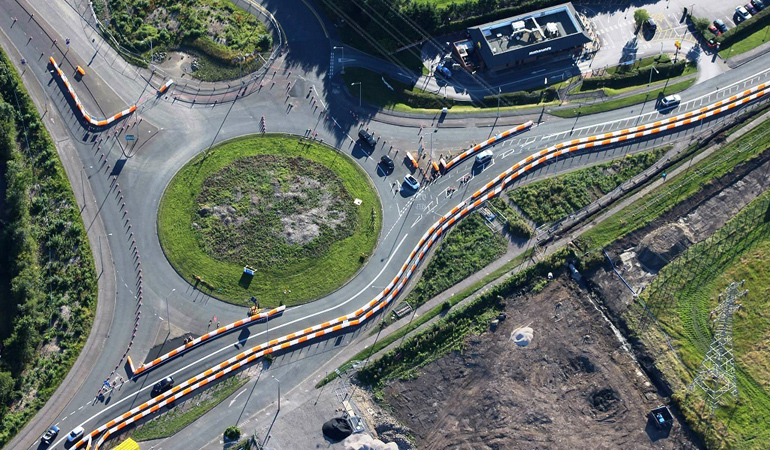 Our Surveyors are competently trained to design Traffic Management schemes which comply to Chapter 8 standards. 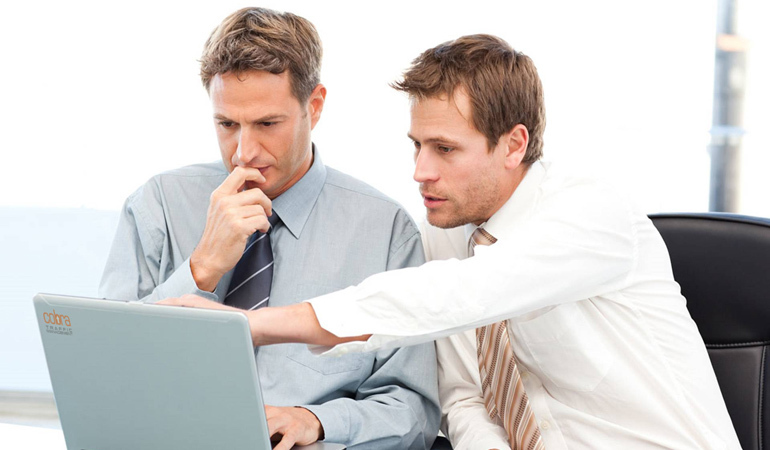 Once a site has been accessed, a specific assessment of risk and work methodology is then produced. 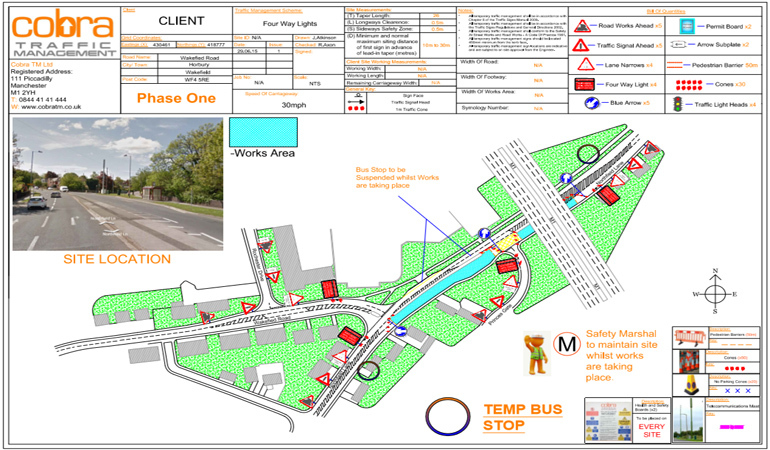 This detailed information can be submitted with ease for end client approval prior to our site attendance. 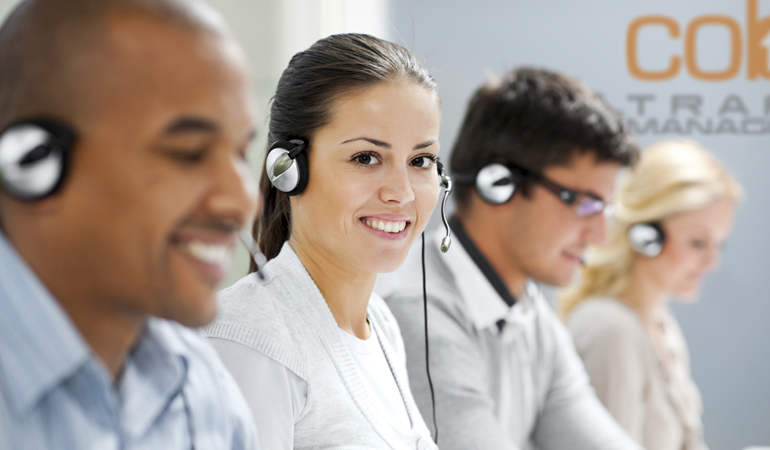 Cobra’s Symology team can manage and process EToN notices on your behalf where required. EToN (Electric Transfer of Noticing) is the term used for the two way transmission of notices between Industry and Highway Authorities in England, Scotland and Wales. Each member of our team is trained to EToN 6 standards for your peace of mind. Our in-house scheme design team produce industry leading CAD Traffic Management Plans which in turn provide an accurate visualisation at both the planning stages right through to live site deployment. These detailed drawings can also be made available to local authority to gain approval prior to works commencing. 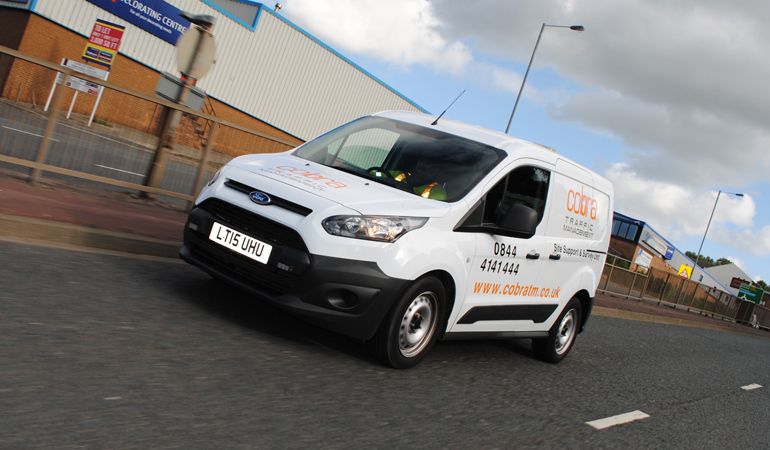 A well established, innovative and forward thinking company, Cobra Traffic Management deliver a unique approach to all your Traffic and Pedestrian Management needs. We provide a professional service that ensures we deliver a cost effect, reliable but more importantly, safe systems of Traffic and Pedestrian control. We appreciate and understand the challenges and time constraints that present themselves within this ever evolving industry and ensure we get it right, on-time, every time. With full UK national coverage why not give us a call on 0844 41 41 444 and experience the difference today.